One size, Karen is 1m74. 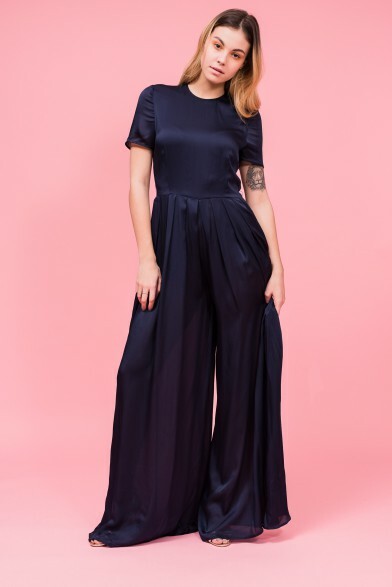 This sleeveless jumpsuit can be worn to work or a night out. It features a plunge neckline, flared leg and side pockets. This trendy piece can be be worn on a night out or as a casual weekend piece. Comes in black organic cotton.